With the 2019 Volkswagen Golf SportWagen, no need to turn to an SUV. With its huge storage space and optional all-wheel drive system, the 2019 SportWagen Golf has all the benefits of an SUV without the hassle. With a driving pleasure that only a car built by Volkswagen is able to offer, the Volkswagen Golf SportWagen is actually the ideal marriage between passion and logic. Available from just $ 24,400 at Fredericton Volkswagen, the 2018 SportWagen Golf is equipped with standard heated front seats, 16-inch alloy wheels and a 6.5-inch touch screen compatible with Android Auto and Apple CarPlay. 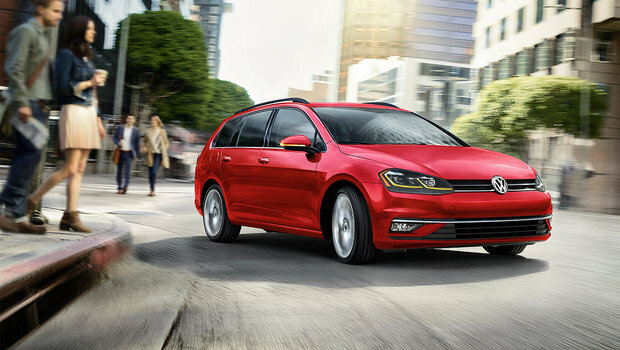 The Golf Sportwagen is now available with a very economical 1.4-liter turbocharged four-cylinder engine. With 147 horsepower, this turbo engine promises plenty of power while keeping fuel consumption to a minimum. For those who want more, know that Volkswagen is never out of resources! All variants of the 2019 Volkswagen Golf SportWagen (Comfortline, Highline and Execline) are also available with a 1.8-liter four-cylinder engine developing 168 horsepower. To handle all this, three transmissions are on the menu: a six-speed manual, a six-speed automatic, and an 8-speed automatic. In addition to its mechanics, the 2019 Volkswagen Golf SportWagen offers a surprisingly precise steering and suspension that’s tight enough to give you the best driving experience without compromising comfort. 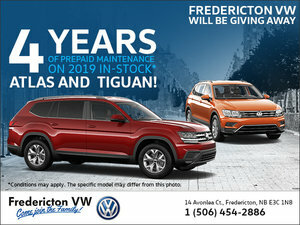 At Fredericton Volkswagen, we know very well that winters in Canada can sometimes be a nightmare for motorists. Between badly cleared streets and dangerous ice patches on the road, the Golf Sportwagen stays on course thanks to its 4MOTION four-wheel drive system. Available as an option on the Comfortline and Highline variants and standard on the Execline, Volkswagen's 4MOTION all-wheel drive makes it easy for the Golf SportWagen to keep your entire family safe, no matter the weather. The 2019 Volkswagen Golf SportWagen is the best of both worlds. 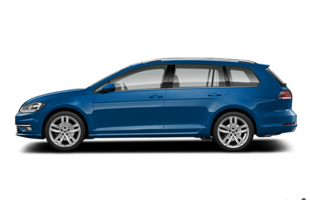 Check out the Golf Sportwagen at Fredericton Volkswagen!